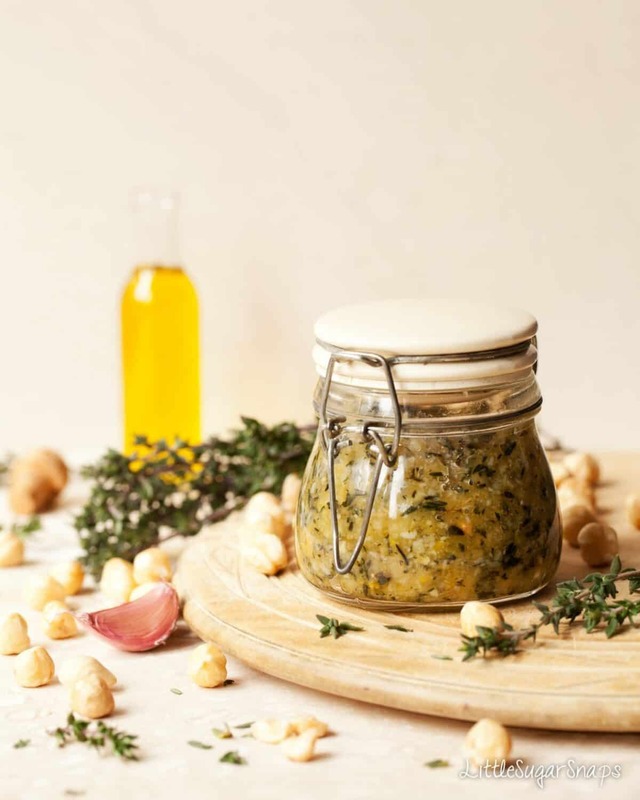 Made in minutes, Hazelnut Pesto with Thyme is a buttery, zesty twist on the classic. 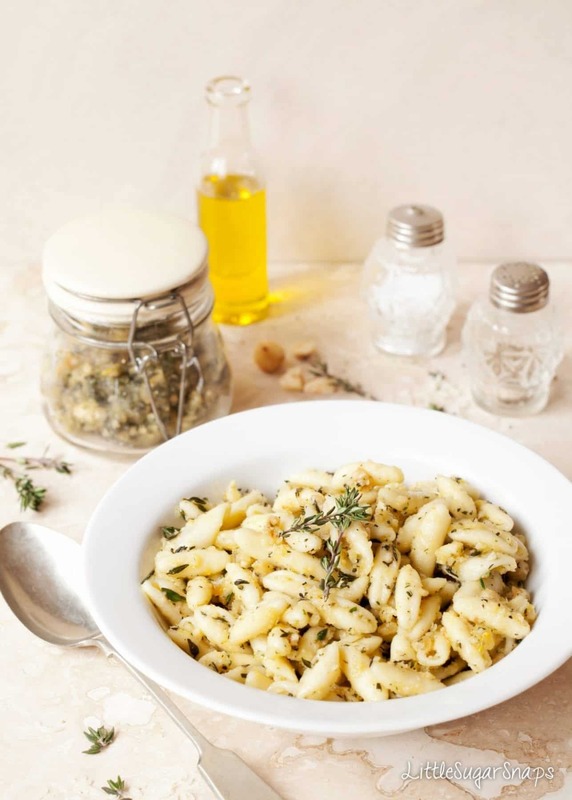 Just like all good pesto, it is wonderful served with pasta but it can also turn into the star ingredient in your savoury bakes. Basil pesto. Gloriously green. Lip-smackingly good. 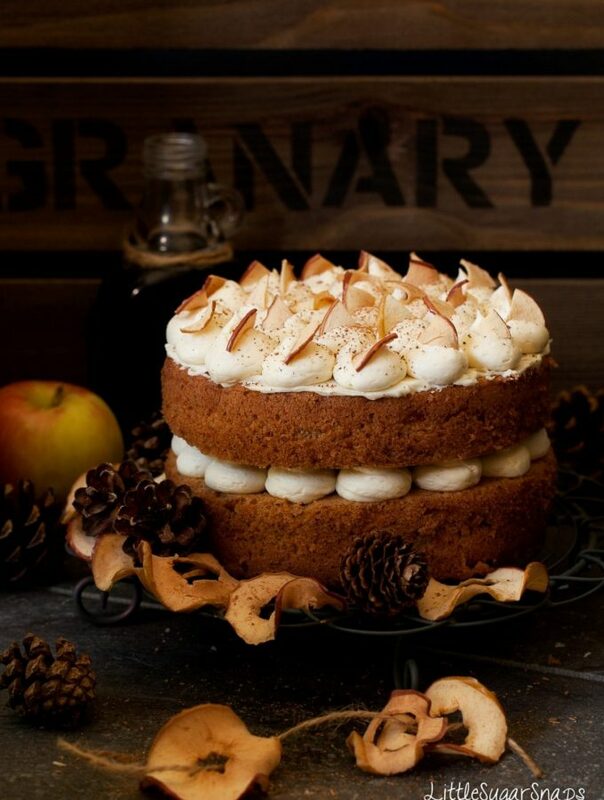 This classic is, without a doubt, a firm family favourite in my household. But it’s such a favourite that I have to be careful not to rely on it too much. I have endless uses for this magic sauce and frequently use it in dips, sandwiches, savoury pastries, pasta, lasagne, and salad dressings. If I can squeeze a little green pesto into daily life, I will jolly well will do. But just occasionally, I like to remind myself that there is more to the world of pesto that this one variant. I’ve been devising some savoury palmiers ready for Valentine’s Day and although I wanted to include some pesto in them, I needed a more subtle variety than my punchy green love could ever claim to be. I wanted something gentle, nutty and herby to resonate with – but not overpower – the other flavours included in these savoury palmiers. Hazelnut Pesto with Thyme is the ideal accomplice to these ingredients. Those buttery, almost sweet hazelnuts team up with lemony, peppery thyme amazingly well. 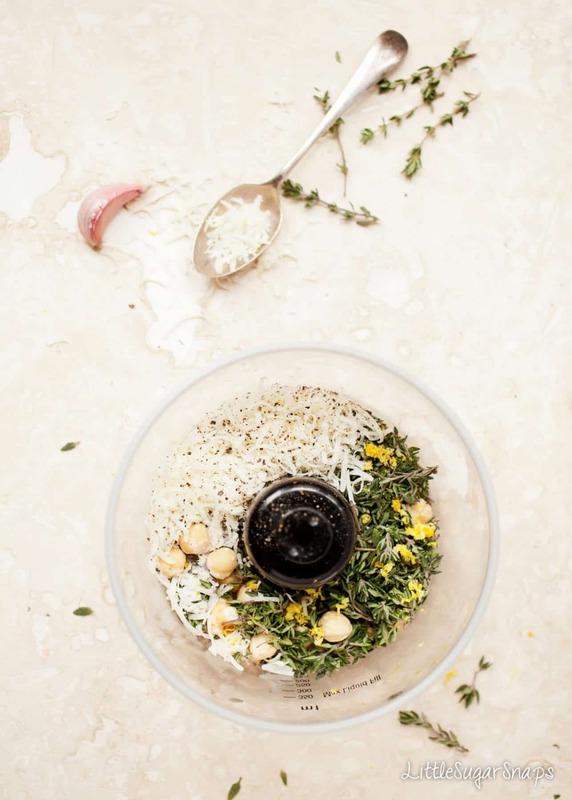 Toss in a handful of extra delights (lemon, garlic, parmesan) and we’re well on our way to pesto heaven. And the beauty is that the food processor does all of the hard work for us. 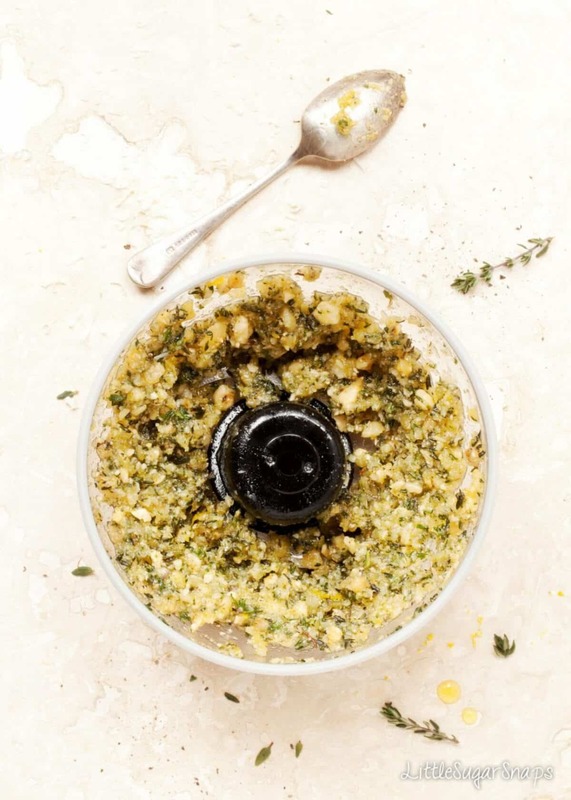 This Hazelnut Pesto is ready in mere minutes. I created this recipe specifically for my savoury palmiers. But I’m pleased to report that Hazelnut Pesto with Thyme also makes a highly successful marriage with a bowl of steaming pasta. Just like all great pestos should. The sweet, nutty, lemony and herby flavours, with a hint of cheese and garlic naturally wrap themselves around the sleek, tender pasta. Bliss. Come back in a few days and I’ll have my Hazelnut Taleggio Prosciutto Palmiers ready and waiting. 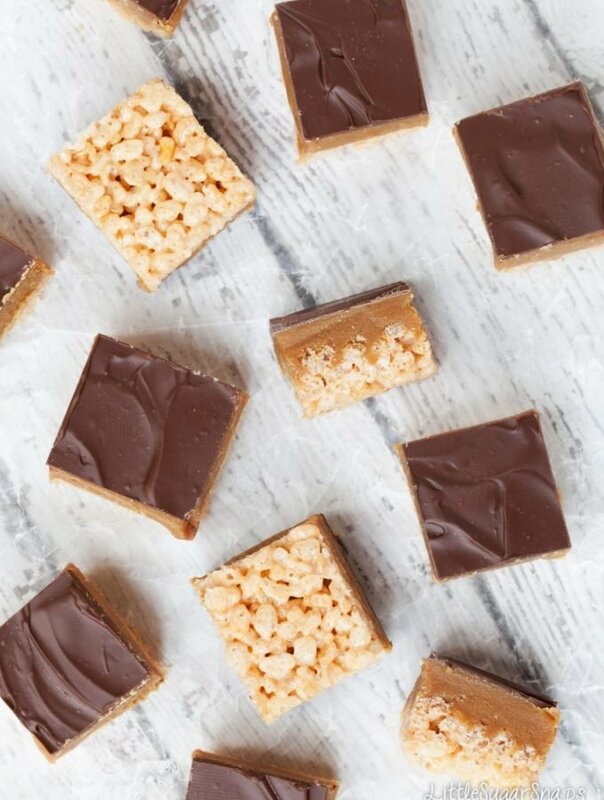 They’re a wonderful Valentine’s treat for anybody lacking a sweet tooth. That’s not me, by the way. I can do sweet. I can do savoury. But I prefer to do both. 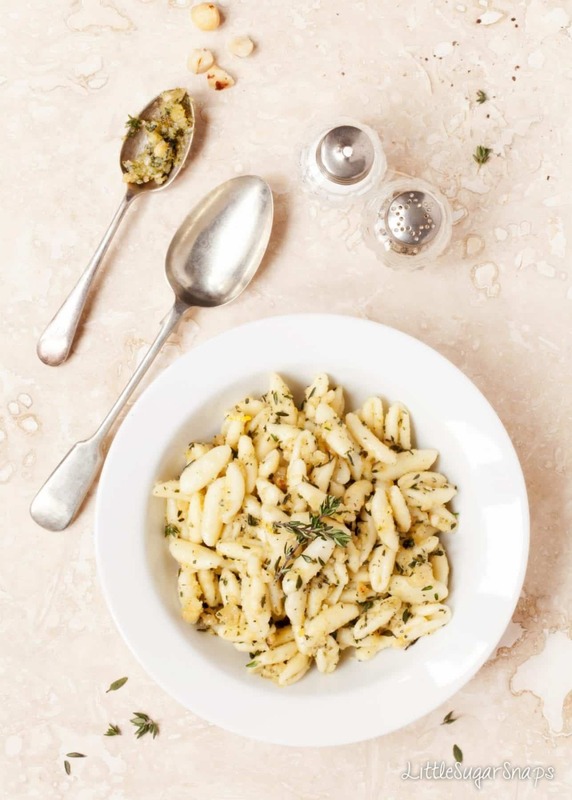 Made in minutes, Hazelnut Pesto with Thyme is a buttery, zesty twist on the classic.